where to have your vehicle fixed after an auto accident? by our professionally trained technicians at Collisiontec. All of our repairs are backed by a Lifetime Warranty!! Call us for more details, we’re here to help. 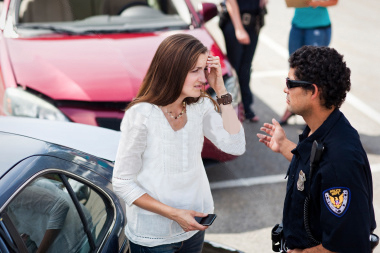 Auto accidents are unexpected and can be stressful. When you are in an accident there are some good things to remember. Here is some auto accident education to help out. Take a deep breath and try to stay calm. Check for injuries and call an ambulance when in doubt. If the accident is minor, move the vehicles to a safe place and out of traffic. Turn your vehicles hazard lights on and use cones, warning triangles or flares for safety. Do not sign any document unless it is for the police or for your own insurance agent. Make immediate notes about the accident, including specific damages to all vehicles involved, witness information and any other facts or details about the accident. Take photos of the entire accident scene using your cell phone. State only the facts and limit your discussion of the accident to the police and your insurance agent. I was very pleased with the work that was done. The paint job looks like it's new again. Again tell the men in the back that they did a great job. Again picked your place that was suggested thru the insurance company and when I saw your place it made it easily for me to decide to take it to you. Janet did a great job and is a great manager. Thanks Janet and tell the guys again great job.